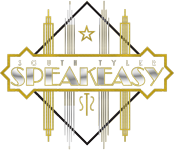 South Tyler Speakeasy is a local joint located in South Tyler on Old Jacksonvile Highway. I guess you don't know the secret handshake. Keep checking back with us. This content will be here soon. We are always looking for new employees. Fill out and application and we will give it a look-see! Take a moment to peruse our menu. We are certain that you won't leave the STS hungry. Have a Band and would like to play here? Find out more about our venu. 21 and Up Only. House Rules and the Menu (content and pricing) provided at the time of your visit supercede any website information.